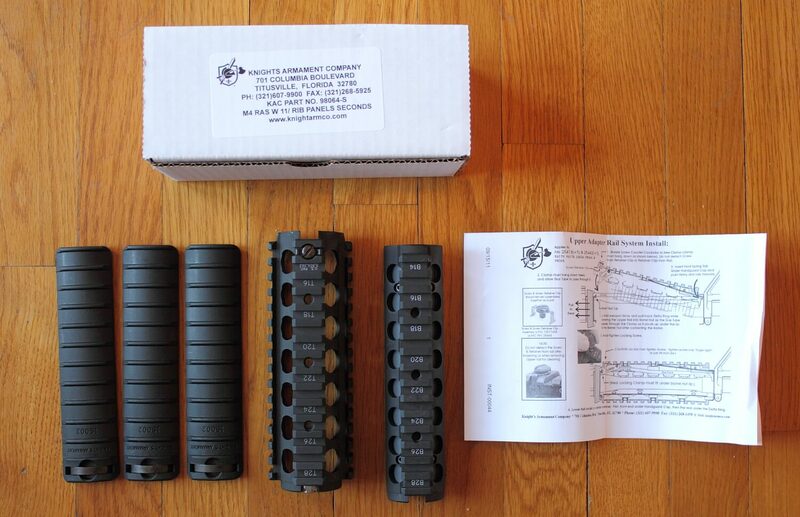 A few weeks ago Howard posted an informational article on the Knights Armament RIS and RAS. 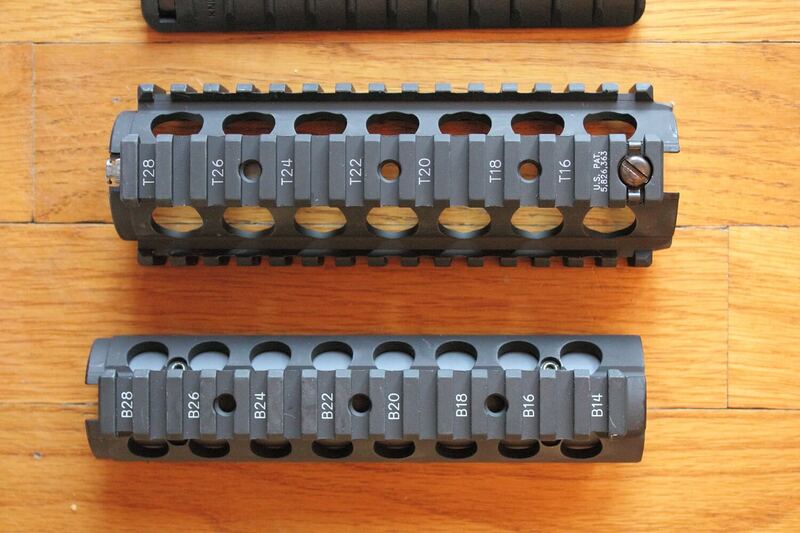 In it he offered up the opinion that while newer and better options exist at the RAS’s $300 price point, it was still a viable choice for a handguard if purchased at a discount on the used market or as a blemished model from Knights itself. I agree with his thoughts on the RAS, and recently purchased one of the blemished models from Knights for a planned M4 build. I was quite pleased with what I found when I opened the box from Knights. The only blemish I could find, if you’d even really call it that. Mounted up. 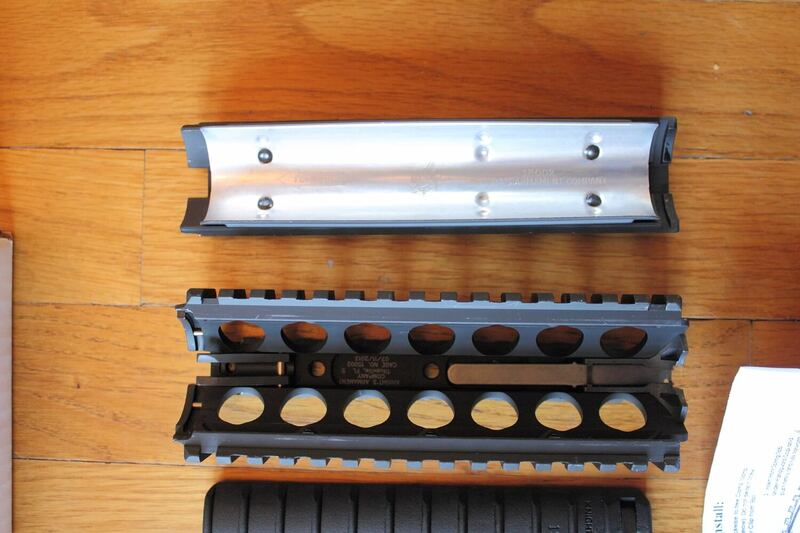 While the included rail panels are nice touch, I went with the ladder panels as I prefer their slimmer profile. 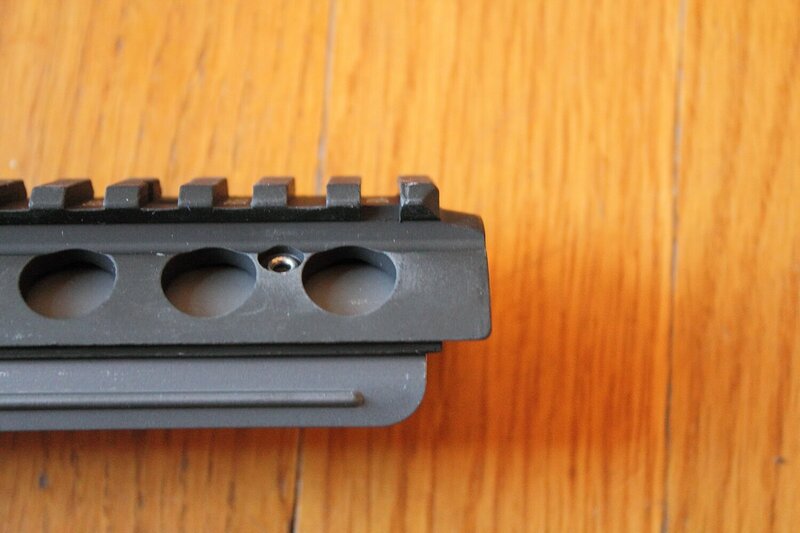 The last blem KAC M4 RAS I purchased had the blemish of having one of the sets of rail markings on the side off center. 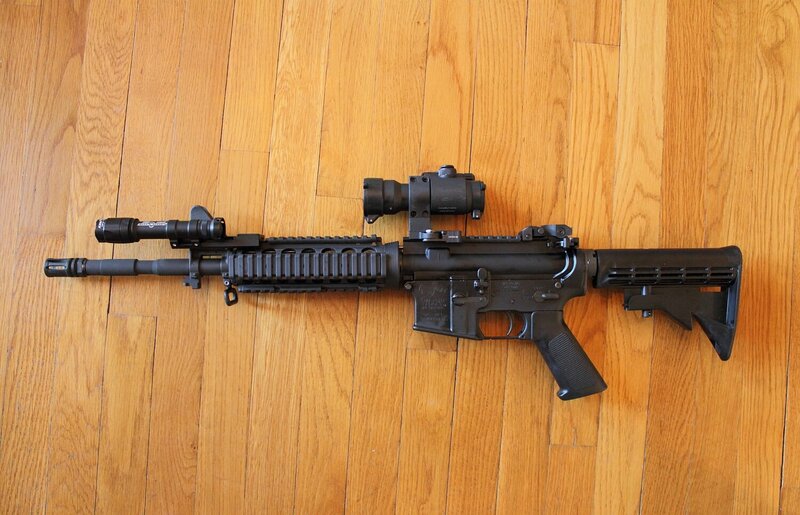 Perfectly acceptable to me, and was it sits on the Colt M4 upper that Shawn used to shoot 1000 yards. I try to buy everything (well almost) used or blem. I have never had an issue buying good gear used. It amazes me that someone would return something like that over a marking and thus it has to be sold as a blemished product. How can u tell from a fake or genuine kac m4 ras, I just recently purchased one on the web but am skeptical can u advise please? Thank u in advance. Easiest way would be to buy from a reputable source. Knock offs are becoming harder to tell apart every day. Unfortunately the close appearance does not lead to similar quality.